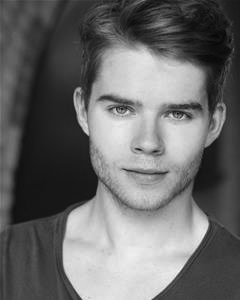 Alan graduated from the Birmingham School of Acting (BSA) in 2015. 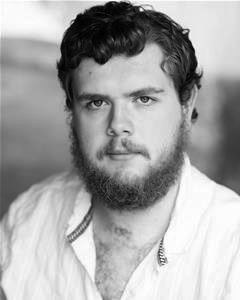 His recent theatre credits include William Hoyle in a new play A Slave to Love, The Giant in The Selfish Giant tour, and Starkey the pirate/Big Chief in Peter Pan which he performed at the Edinburgh Fringe Festival in 2015. During training, Alan attended the Drama UK ‘Voice & Text’ workshops at the Royal Shakespeare Company. He was also chosen for the Carleton Hobbs Radio Bursary 2015 to which he was highly commended for his duologue entry. Alan was also a Spotlight Award nominee 2015. He is very excited to be working with Vienna’s English Theatre for his first international tour in Austria. Aimee Kember graduated from The Arts University Bournemouth in 2016. 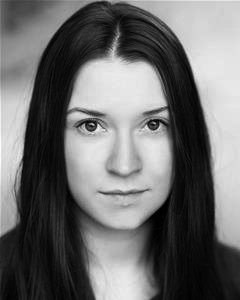 Her most recent Theatre credits include: Prospero and Trinculo in The Tempest (Tour), Catherine and Georgina in The Ghosts of Mr Dickens (Tour). Aimee has worked on many shows through the years and has played roles such as Baker’s Wife in Into the Woods (Miskin Theatre) and Mette in Festen. Aimee has worked with well known directors such as David Glass and Mike Alfred’s. Aimee has not been outside of the UK very often and is very excited to be touring around Austria with Rob and the Hoodies. Kit recently graduated from four years of drama school training with a foundation at RADA and a three year BA at ArtsEd. In training, he played a range of roles from comedy to drama including the title role in Cymbeline and the Duke in Two Gentlemen of Verona directed by Sir Trevor Nunn. He also appeared in All my Sons, Punk Rock and as Lally in Vernon Godlittle which he considers to be his favourite role. Since graduating he has been lucky enough to perform in two runs of a satirical comedy called Big Brother Blitzkrieg at the Kings Head Theatre, played Sebastian in Twelfth Night at the Leicester Square Theatre and played Alex in the American dark comedy The Crumple Zone at the Pleasance Theatre. Kit will also be appearing in the upcoming Feature Film The Happy Prince based on the life of Oscar Wilde. When Kit isn’t performing he enjoys going to the theatre and writing his own comedy. He is very excited about working with Vienna’s English Theatre and can’t wait to explore Austria. 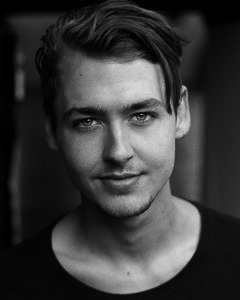 Ethan is an actor, writer and graduate of the Guildford School of Acting. He has appeared in stage, radio, TV and film productions and is the Artistic Director of Who Said Theatre. Three of his plays have been produced in London, Cardiff and Edinburgh and the others haven’t been written yet! He has loved the Robin Hood legend ever since his mum knitted green caps (complete with red feathers) for himself and all of his toys when he was young… well, younger.